Magog, Quebec, August 31st – Camso, formerly Camoplast Solideal, displayed its latest tracks and track systems at the Farm Progress Show in Decatur, Ill., Aug 29-31. 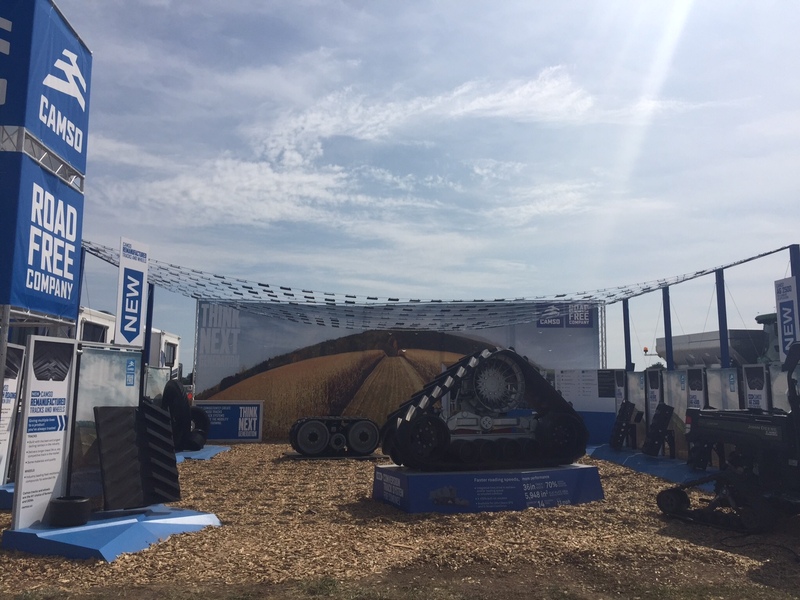 “We’re excited about this year’s show for several reasons,” says Martin Lunkenbein, Service and Aftermarket Sales Executive Director – Agriculture. 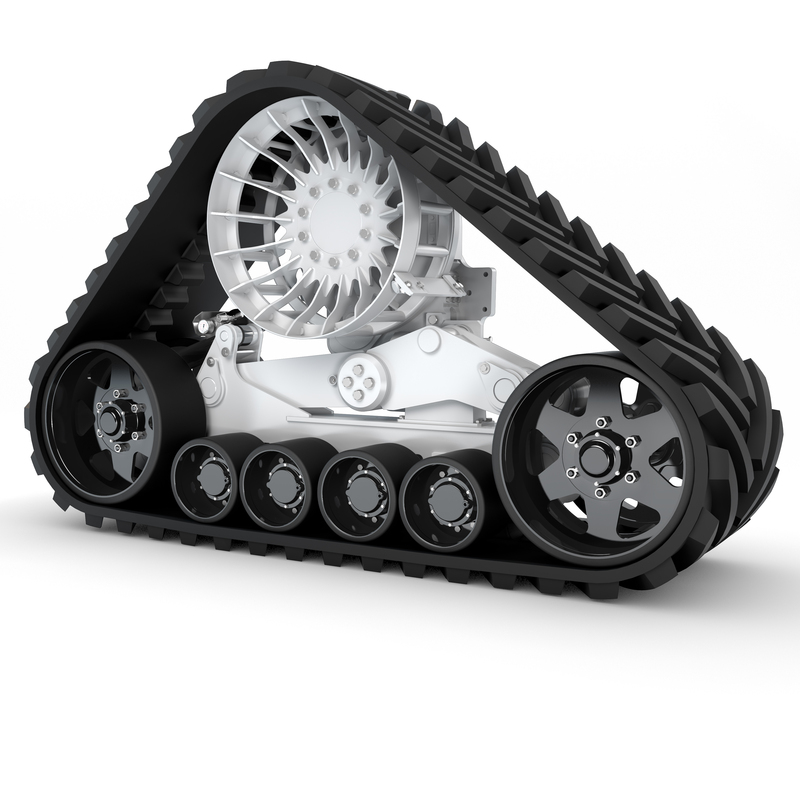 “We announced details about a new offering of remanufactured tracks and wheels. We also highlighted our Camso Conversion Track system (CTS) High Speed, and presented the broadest range of tracks in the industry, which is our new Camso AG 2500 Track Series,” he explained. During the show, the Camso team shared details about the company’s new remanufactured tracks and wheels program. “Later this year, we’ll be launching our remanufactured tracks and wheels program. We’re giving multiple lives to a product farmers have always trusted, thus showing once again our commitment to provide the lowest operating cost solution,” explained Lunkenbein. Camso will remanufacture the wheels and tracks from the best, longest-lasting carcass in the industry and will use the same Camso original materials and quality. “Camso is continuously thinking about the next generation of tracks and innovation to the industry. With this program, we’ll provide customers with an economical, effective and durable solution that will extend the use of tracks and wheels on their equipment,” said Lunkenbein. Camso CTS High Speed allows tracked harvesting machines to reach roading speeds similar to wheeled combines. The integrated final drive helps match the right gear to the right speed – allowing combines to move faster from field to field – up to 23 mph. Producers were able to get a closer look at Camso CTS-equipped combines in the field, during the show’s harvesting demonstrations and during a special Ride&Drive evening activity. The frame suspension system and double oscillating wheels of the CTS improve ground contact of the tracks on uneven surfaces, and improve machine stability and header placement for more efficient harvesting and improved operator comfort. Its larger footprint reduces ground pressure over 70%. The exclusive Camso innovation is currently available for John Deere STS and S Series Combines. Earlier this year Camso introduced new AG 2500 Track Series for standard agricultural applications at a competitive price point. Built with the same process and high-quality Camso standards, the Camso AG 2500 features exclusive endless single-cure technology that ensures high performance and durability. Camso AG 2500 tracks are engineered to perform as well as competitive rubber track products but at a lower out-of-pocket expense. “With an average cost saving of 15 percent per hour of operation, we deliver proven Camso track performance for less money,” said Lunkenbein. 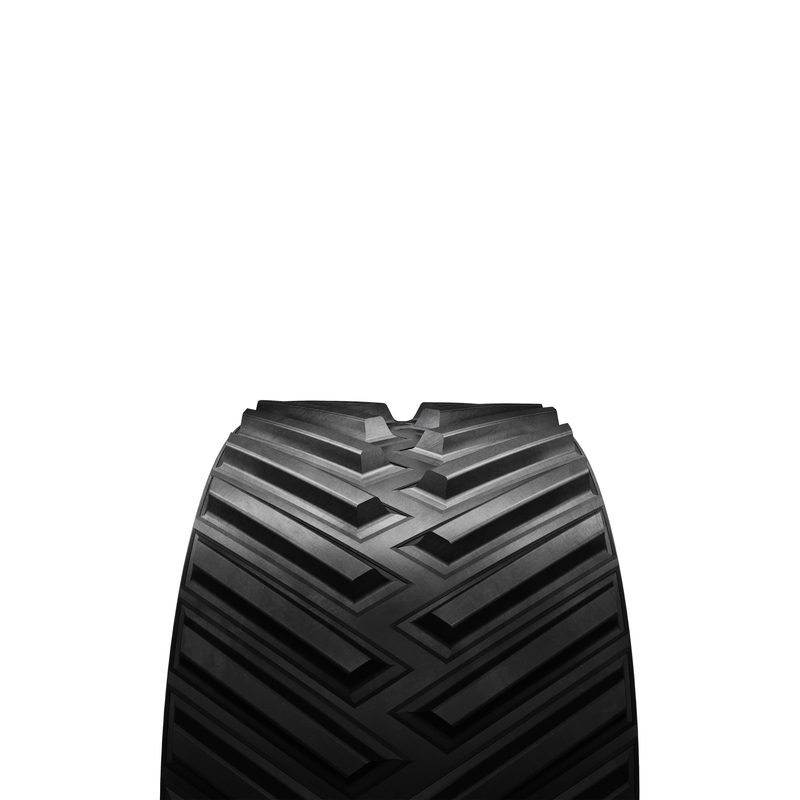 The new tracks are available for all friction-drive tractors, including the John Deere 8RT and 9RT tractors as well as the AGCO MT700 and MT800 platforms. Profit from the Ground Up During the show, Camso engineering and agronomic experts provided the latest agronomic data from its Profit from the Ground Up program. Camso leverages current agronomic data from this program to improve its products that help minimize soil compaction and improve yield potential.